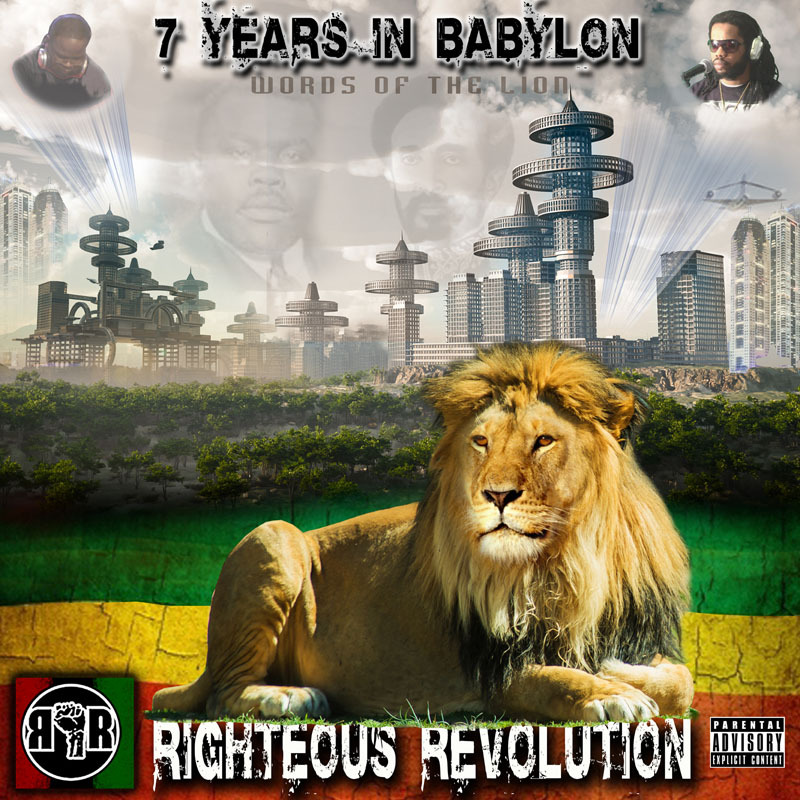 New Album “7 Years in Babylon” RELEASED! The newest album from Righteous Revolution has been released! We will be adding the individual tracks to the website for you to listen to. Currently, you can listen to them on our ReverbNation and Soundcloud account by clicking on the icon in the header. We do have the album available for sale here. We will also be adding the individual tracks for sale as well…just give us a few days. Hope you like the vibe! Make sure to comment and let us know what you think. Righteous Revolution is a movement started by Hayden Collette aka. AKX. Hayden originally started the group BroadwayBoys from a church youth group in Trinidad & Tobago, where he is originally from. After leaving Trinidad he continued recording with the idea of forming a HipHop syndicate that would start to reflect the positivity & spiritual messages synonymous with the hiphop groups he grew up listening to.. Like Brand Nubian, Public Enemy, DC Talk & D.O.C. while emphasizing a roots reggae/island vibe within the sound. The BroadwayBoys went on to develop quite a following in Trinidad while AKX linked with Rhapsodic, a ridiculously talented producer in Denver, Colorado and Natti Red, a smooth hip hop vocalist with true beat making abilities as well. Although referred to as such, Righteous Revolution is not a hip hop group. Righteous Revolution is an amalgamation of talents from vocalist, to music producers, to graphic designers all aimed at promoting wisdom knowledge & understanding within the hip hop community. Natti red, AKX & Rhapsodic all had strong interests in black history & the revolutionary movements from rastafarianism, to the 5percent nation, to the black panthers. This knowledge and influence is strongly heard in the music of Righteous Revolution. Closely associated with the movement is ACE1, an emcee originally from Ground Zero movement & DJ Cavem Motivation. AKX says that the non-sense he believes has engulfed hip hop cannot be the only message emanating from the genre. Righteous Revolution’s music emphasizes strong lyrical content over original HipHop instrumentals. The movement also produces a line of T shirts & black music/ history posters with themes ranging from ethiopia to rastafarianism, christianity & black history: including the history of blues, reggae & hiphop music. AKX & Natti Red believe revolution is as drastic change that can be brought about as astoundingly with knowledge as with arms. Righteous Revolution’s vision is to leave a mark on the hiphop culture that redirects youth to righteous thoughts and actions as opposed to the “music” which now dominates the hiphop art form & culture with materialism, club-life, womanizing, alcoholism and the debauchery of what AKX & Natti Red call this Babylon System. The group’s dance hall reggae influence is strong as they grew up listening to Artistes like Burning Speer, Buju Banton & Sizzla Kolonji. Righteous Revolution promotes no singular religion but intends that all their spiritual back grounds are reflected in the music & sound they produce.